Welcome to Seattle, Interaction 19 fam! On February 4-8, 2019, Seattle will host the world’s premier interaction design gathering: IxDA’s Interaction 19: Design in the Wild. Artefact is thrilled to have the global interaction design community in our backyard to discover the vibrant people, history and landscape that make up the city we call home. As one of the fastest-growing metro areas in the country, Seattle has experienced the triumphs and pitfalls of a community and economy catapulted to success. This backdrop is a consistent reminder that we’re here not only to do innovative work that improves people’s lives, but that takes into consideration the impact on broader communities and society as well. This year, we’re proud to have two stellar designers presenting in Interaction 19 who reflect our passion for design ethics and responsibility. They also both happen to be avid cyclists (Seattle loves a good bike lane). As media and citizens grapple with the implications of misinformation and disinformation, Design Director Holger Kuehnle will explore Designing for Data Literacy in the Age of Post-Truth. In his February 6th talk, Holger will share the designer’s role in surfacing fact over fiction and his experience as Design Lead for USAFacts, a nonpartisan civic initiative to reflect government data in clear and unbiased visualizations. Columbia City – it’s like its own little town with shops, good restaurants, and a movie theater, and is at the same time close to Lake Washington and Seward Park. It’s also the most diverse zip code, not only in Seattle but also (according to the 2010 census) in the country overall. Where should designers visit in Seattle? I like reading old-school physical books, and there are great local and independent options specifically of interest to designers in Seattle. Peter Miller Books in Pioneer Square has a large selection purely focused on design and architecture. Elliott Bay Books on Capitol Hill has a broader range. It’s also a really nice building to hang out in and browse. Get brunch next door at Odd Fellows. I love finding new, interesting places by just biking around one of the many different neighborhoods and stopping at interesting places you encounter along the way, such as a brewery or a local coffee shop, hanging out for a while and then biking somewhere else. Good neighborhoods to do that are Ballard, Fremont, Greenwood, Capitol Hill, and the Central District. Don’t be afraid of hills, they build character! Why should designers attend your talk? As designers, we have a responsibility to use technology to make complex issues understandable, not to bias or obscure with false simplicity. Specifically with regards to data visualization, my talk will explore the importance of being critical of individual numbers, and how to design ways which communicate the full context that they exist in so that people gain an unbiased understanding from the data. On February 8th, Executive Creative Director Sheryl Cababa will challenge our product assumptions with her talk on Trust, Transparency + Tarot Cards: Envisioning Outcomes to Build Better Products. She’ll explore how to surface and mitigate the unintended consequences of the things we make, with a little help from our creative tool the Tarot Cards of Tech. I live in Ravenna, which is a few minutes walking from the University of Washington. This means proximity to really great Asian food because of all the international students. A couple of my faves are Xi’an Noodles and Korean Tofu House. I also love that I’m a few blocks away from Seattle chef Eduardo Jordan’s iconic restaurant Junebaby. I highly recommend it. Hit up Artist & Craftsman in the U-District. It’s my favorite employee-owned art supply store and they have EVERYTHING. Nearby is Hardwicks, an old-school hardware store that is part of disappearing Seattle. Lots of vintage and weird things in there. Another great place to shop is the Fremont Sunday Market. It’s a big weekly flea market in a fun neighborhood, if you love quirky vintage items and clothing, this is the place. The other thing I love about my neighborhood is that I’m two blocks away from the Burke-Gilman Trail. It’s a former railway trail that goes all the way from Ballard to the Eastside. I’m lucky to be able to use it for my commute – no hills! What do you want designers to take away from your talk? We don’t have to feel hopeless about the distressing direction in the tech industry. We can improve our tools to make better decisions that would lead to better societal outcomes, which is why at Artefact we’ve worked to create tools like the Tarot Cards of Tech. Key to changing the current trajectory is to stop putting our heads in the sand, stop telling ourselves nice stories about what we do, and start doing the uncomfortable work of interrogating our complicity in creating products that lead to unintended consequences. I believe in designers! We work hard to be the best at what we do, but we also know how to kick back. Don’t miss the top Interaction 19 party in town at the Artefact studio on February 6 from 6-10pm – get your free ticket here. You’ll get to explore our historic waterfront studio and discover some of our favorite projects – from our UX work with Magic Leap to the industrial design vision behind the NFL’s VICIS ZERO1 football helmet. 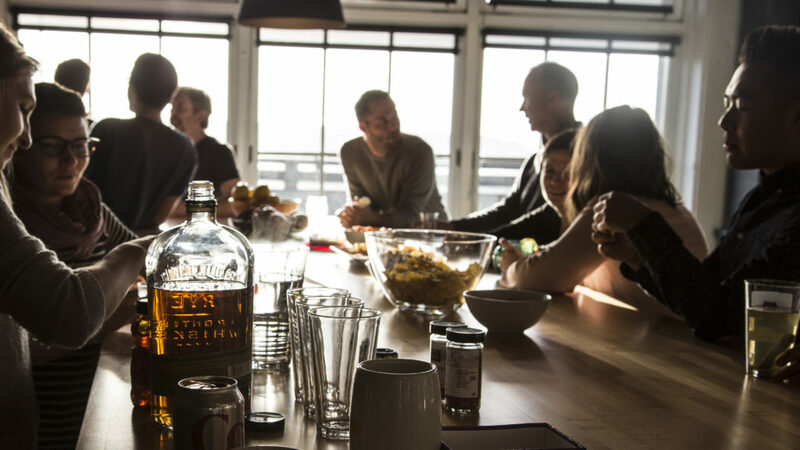 Grab a drink with new friends from the conference, play a friendly game of foosball with our designers, or take to the dance floor overlooking beautiful Elliot Bay. It’s the perfect way to get to know Seattle and kick off Interaction 19 – we’ll see you there!